The bees are dying. They’ve died off before, but not in my lifetime. As far as we know, their deaths aren’t related to climate change, but it feels like that. It feels like an intimation of the sadness I felt when I read Do Androids Dream of Electric Sheep? and realised all the animals had died. Neonicotinoids – these are a class of insecticide derived from, or chemically similar to, nicotine. They are useful in that they affect insects more than mammals, and because they can be applied to seeds and from there, provide protection to the whole plant, especially from sap-sucking insects. They are relatively new and their rise in agriculture coincides with the death of the bees, so they are a prime suspect. George Monbiot, an environmentalist whom I greatly admire, points the bone squarely in their direction. A more thoughtful view is taken by the American apiarist and biologist Randy Oliver, who keeps abreast of the scientific literature covering neonicotinoids and their effect on bees. He points out that there seems to be little correlation between the use of these chemicals and Colony Collapse Disorder, although more study needs to be undertaken on how long they linger in the soil, their effects when mixed with other chemicals, particularly fungicides, and their real-world application (when used correctly they seem to have a negligible effect on bees, when used heavily in home and municipal contexts they can cause harm, especially to waterways). Pathogens – a high percentage of beehives can become infested with the Varroa destructor mite, which weakens bees by sucking their equivalent of blood. The mite can also carry viruses such as ‘deformed wing virus’ and ‘Israeli acute paralysis virus.’ The fungus Nosema is also thought to be a likely culprit in many hives collapsing. High-Fructose Corn Syrup – is there anything it can’t do? Bees are often fed this syrup in winter when there are few natural sources of nectar. Such a bland diet may weaken their immune system. This may be exacerbated by bees feeding on a monoculture crop during Spring and Summer. Apiculture – transporting a hive from one area to another can make it difficult for bees to find their way home; it can also spread the pathogens mentioned above. Other apicultural practices being touted as possible factors leading to CCD include the artificial control of queen bees, including selecting bees for breeding based on docility (and the concurrent lack of genetic diversity this has brought to bee populations); the use of antibiotics; the selection of which larva is to be fed royal jelly; introducing a new queen every two years (without interference a queen would normally reign for five or six); excluding the queen from some areas of the hive and clipping the queen’s wings. Lastly, the provision of such infrastructure as combs, wax sheets and ventilation, all of which can be taken care of by the hive itself. Most likely Colony Collapse Disorder arises from a combination of all of the factors listed above, probably interacting in complex feedback loops. Although pointing at a single cause, for example neonicotinoids, is both emotionally satisfying and automatically provides a simple solution, it does belittle the effort being put in on an international level to pin down the causes of CCD and combat them. Bees are vital to our food supply. They don’t just provide honey for your toast, they provide free pollination to a vast array of crops. 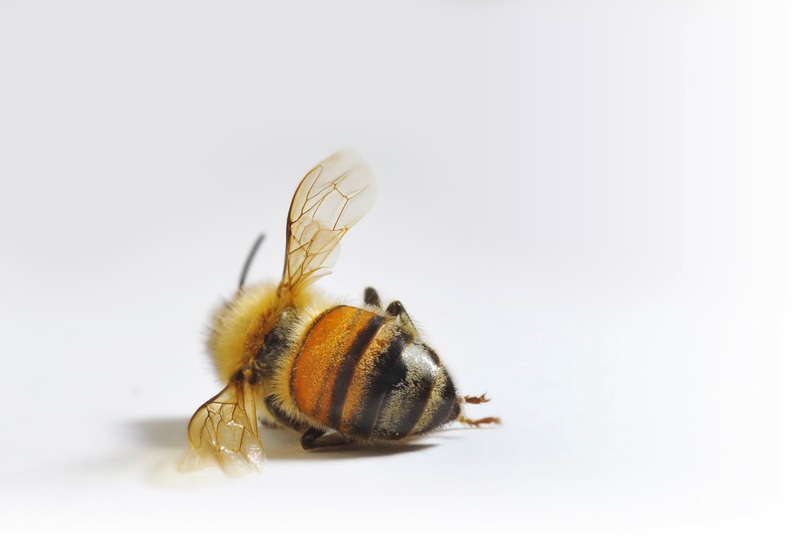 So, although “ban neonicotinoids” is a catchy slogan you may encounter over the coming years, and may prove to actually be the solution, bear in mind too that these chemicals have been banned already in France with no discernible effect. As yet there has been no reporting of CCD in Australia despite our use of neonicotinoids. A summation? There appears to be no simple cause or solution for CCD. A combination of better beekeeping practices and more responsible use of pesticides would seem to be a good start. Until the crisis is resolved take a moment, next time you pass a plant covered in flowers, to appreciate the bees fuzzing its margins, their attention to each bloom, their tiny perfection.